Bingo! It was obvious when the peacock spotted black leopard filly first stood that she would grow to be a very big mare. Her long legs were graced by black points, dramatic contrast to her snowy white coat. Stonewall Blanche sparked serious dreams of driving glory. She did not disappoint. This was the first of three sisters to become Stonewall Sporthorse Champions produced by Stonewall Crystal, a big, rugged black leopard daughter of 1967 National Champion Crystal Curtain. Stonewall Blanche took easily to harness as a strapping two-year-old, showing willingness to go anywhere and do anything. By the time she was four, she was competing regionally, then throughout the West. In 1998, Michael Muir was named to represent the United States at the first World Championship for Drivers with Disabilities, held in Wolfsburg, Germany, with competitors from nine countries. The Americans came home with the team bronze medal, led by Florida’s Kate Rivers earning the individual bronze. Mike was hooked and he wanted more. His string of driving horses were shipped to Southern Pines, North Carolina, the heart of the American driving world, early in 1999. They would spend the year training and competing to qualify for the 2000 World Driving Championship in Stadl Paura, Austria. Stonewall Blanche led the way, storming through competitions in Florida, Georgia, Tennessee, North Carolina, New Jersey, New York, Pennsylvania and Vermont. Blanche towered well over 16 hands, tipping the scales at 1720 pounds in fighting trim. In the beginning, people questioned whether the big mare could possibly have the speed to compete on the elite Eastern combined driving circuit, but soon learned to get out of her way. Blanche became a marathon specialist, charging through arduous, difficult courses and never shying at any obstacle. She was fast, courageous and powerful, coming in strong on challenging courses that left her competitors staggering to finish. The year-long exploits of Stonewall Blanche earned Michael a place on the American team to Austria where he set a speed record as the Champion Grade 1 Driver in Obstacles. Returning to California, Michael and friends from the World Championship competitions began to dream about a new challenge. They would drive wheelchair accessible horsedrawn carriages across the North American continent, more than three thousand miles from California to Washington DC. Blanche, along with her sisters Stella and Scarlett, led disabled drivers from England, Germany, Sweden, Mexico and the United States on this epic journey. 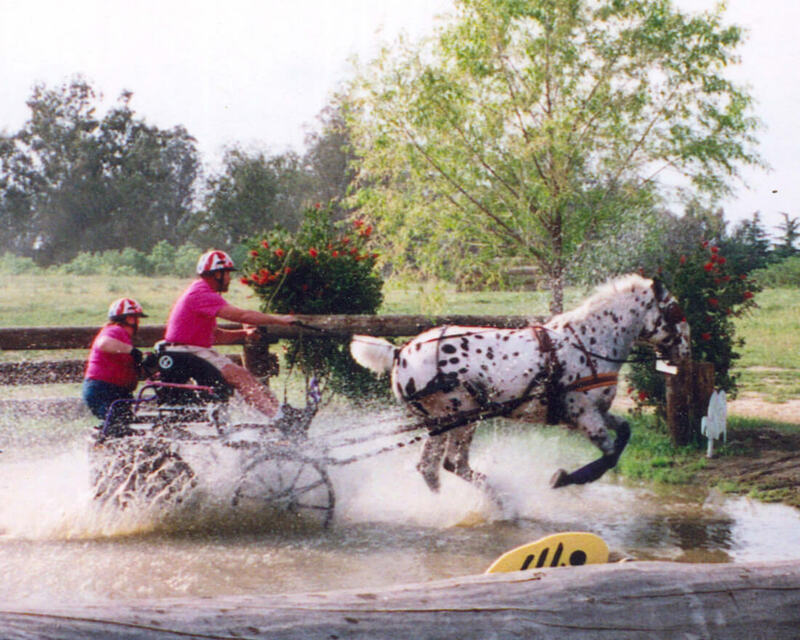 Never faltering, their exploits on this demanding challenge earned them Stonewall Sporthorse Championships in Long Distance Driving. Stonewall Blanche is a sterling example of the heart, courage, stamina and soundness of the Stonewall Sporthorse.